“Dance is the hidden language of the soul,” Martha Graham once said. But in a world of 30-second videos and obsessive phone habits, is this language dying? While some may deem dance—ballet in particular—as obsolete, it is actually a rich art form that is very much alive and evolving. Regular ballet-goers know this scenario well: raised eyebrows, a smirk and some mock twirling as the typical reaction to the statement, “I’m going to the ballet.” Sadly, in many ways, society has lost its passion for the theater. Ballet is no longer enjoyed with the popularity, admiration and acceptance of its glory days—the days when ballet and the theater were central to the social life and culture of the masses. Ballet has endured for centuries because of this powerful ability to express the highs and lows of human emotion in a way that transcends time, age and culture. Why do so many assume ballet to be the dusty pastime of the rich and elderly? Having little to no actual exposure to the art form, many young adults continue to toss it aside, automatically labeling it as outdated, irrelevant, snobby or just plain boring. This misguided assumption is robbing a generation of adopting a unique art form that is exciting, thought-provoking and extremely relevant to modern culture. Ballet has been revitalized in the 21st century, with professional companies around the world embracing change in the form of choreography, music, set design, costume design and more. Now more than ever, the current ballet scene is thriving for those who know it’s there, for the select community that choose to embrace an art form that many overlook. It is thriving for those who crave the excitement, passion and anticipation of watching a live performance. It is thriving because, through dance, feeling can be expressed in ways not possible through words. 1. Choreography, music and design of the current ballet scene are progressive and thought provoking. Ballet companies will always perform the famous, beautiful ballets that have been in classical repertoire since its creation in the 15th and 16th century. However, recent decades, in particular, have brought about a new wave of choreographers, musicians and designers who have created a myriad of evocative work that explores emotion and movement in a way never seen before. Works such as Jiří Kylián’s “Petite Mort,” William Forsythe’s “In The Middle, Somewhat Elevated” and Wayne McGregor’s “Chroma” are just a tiny sample of the incredible displays of creativity that emerged during this time of revitalization. “Petite Mort” premiered, introducing new exploration of sexual symbolism and the psychology of loss through dance. When Forsythe’s choreography takes the stage, so many foreign concepts are introduced that (more traditional) audience members have been known to get up and leave the theater, mid-performance. And McGregor’s 2006 premiere of “Chroma” shocked and thrilled audiences with dramatic exploration of the human body and its ability to communicate the extremes of thought and emotion—all to musical contributions from Jack White and the White Stripes. Intrigued yet? The impact of these works are a far cry from romantic tutus and tiaras of “Swan Lake” or “The Nutcracker” but have been embraced by the ballet community who await premiers such as these with anticipation and delight. 2. Ballet is an exciting, youthful career. Why shouldn’t it be a youthful pastime? While people in their 20s and 30s might not currently make up the majority demographic of a ballet audience, those behind the curtain are almost entirely young adults in prime physical condition. Ballet dancers train from a very young age and often begin their professional careers as young as 18. They dance 7-9 hours a day, developing muscle definition and agility that only professional ballet dancers could ever achieve. When the curtain rises, the stage is filled with young athletes displaying feats of incredible athleticism and a dynamic use of technique achieved through years of discipline. 3. Going to the ballet is a form of escapism. When the curtain rises, audiences are plunged into another world. The theater is full, the lights dim and hundreds of eyes look up to a stage set to transport the audience away from life and into another world—at least for a couple hours. Ballet has a unique and important asset of being a universal language. 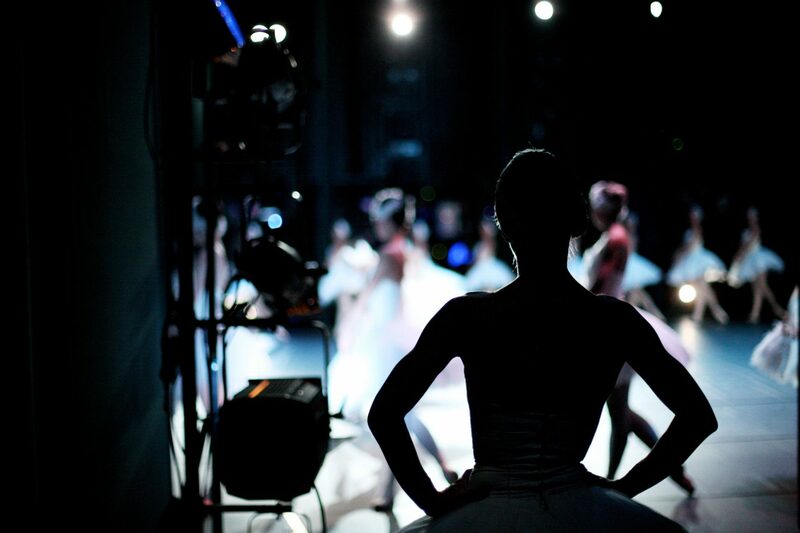 No matter where it is performed, a ballet can speak to audiences in a way that all understand. It is a language that will survive as long as the body communicates it. Ballet is not dead, nor is it on its way. Ballet has and continues to transform over time to meet the demands of audiences who are committed to it—who take the time to get to know it. Ballet has endured for centuries because of this powerful ability to express the highs and lows of human emotion in a way that transcends time, age and culture. Yes, ballet is relevant. We need only give it the chance.